My students call me Mr. French and you may view my availability on Wednesdays here. Click here to request a trial pack of lessons with Mr. French today! Nathan French is a trumpeter and music educator based in central Massachusetts. Nathan holds a Bachelor of Arts in Music Education and Trumpet Performance from the University of Massachusetts Amherst. At UMass, Nathan studied trumpet with Professor Eric Berlin and had the opportunity to work with iconic orchestral and jazz performers such as Charles Schluter, Anthony Plog, and Doc Severinsen. Mr. French has played with the Valley Winds, based in Amherst, MA, and is an active member of the Winchendon Winds. Mr. French has led masterclasses and rehearsals as part of the UMass Amherst Honor Band Program and Massachusetts’ Western District High School Festival. He has previously taught at the Yamaha School of Music in Boston and in collaboration with the North Middlesex Regional School District as a chamber ensemble coach. My students call me Rob and you may view my availability on Wednesdays here. Click here to request a trial pack of lessons with Rob today! Robert received his B.M. and M.M., from the Juilliard School. He studied trombone with of Edward Herman Jr., and chamber music with Gerard Schwarz. Current faculty at Nashua Community Music School and Concord Community Music School. Mr. Kruskol has conducted masterclasses for Concord High School and the Derryfield School and is former faculty member of the 92nd Street Y School of Music in New York City. He has performed with the NH Philharmonic (principal trombone), Nashua Symphony, Boston Lyric Opera, Granite State Opera, Granite State Symphony, New England Brass Quintet, Boston Brass, the Monadnock Chorus Orchestra and the MIT Brass Ensemble. Past performances include the New York Philharmonic, NJ Chamber Symphony and Gramercy Brass of New York. My students call me Ms. Olsen and you may view my availability on Mondays here. Click here to request a trial pack of lessons with Kristin today! Kristin Olsen is an avid educator who is passionate about teaching music. Formerly on the faculty of Brevard College (Brevard, NC) and the Brevard Music Center, she has also taught at Mastricola and Elm Street Middle Schools. She is currently the director of bands at Nashua HS North. 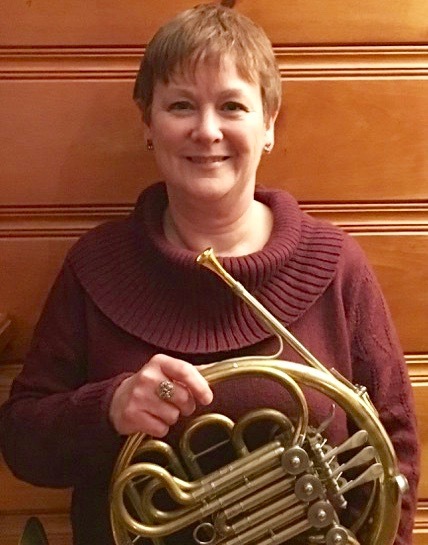 Ms. Olsen is also an active freelance musician in the New England area, and she is currently a member of Symphony New Hampshire. She has performed with the Portland Opera Company, the Granite State Opera Company, the Granite State Symphony, the Northwinds Quintet, the New Hampshire Symphony, the Brevard Music Festival Orchestra, and the Asheville, NC and Greenville, SC Symphonies. Ms. Olsen received her Bachelor of Music in Music Education and Horn Performance from the University of North Carolina. She received her Master of Music degree in Horn Performance at the New England Conservatory of Music.